Music sets the tone for any event. What would a movie be like without the music? The music you plan for the day of your wedding, party, reception, or concert can help you create just the atmosphere you want. You may want the sound of strings for quiet elegance or you might want to "Feel The Rhythm" and dance the night away with our band - Picante! If you want everyone to dance at your festival, concert, wedding reception, party or business event - hire our six piece band Picante, comprised of guitar, bass, piano, violin, drums and Latin percussion. 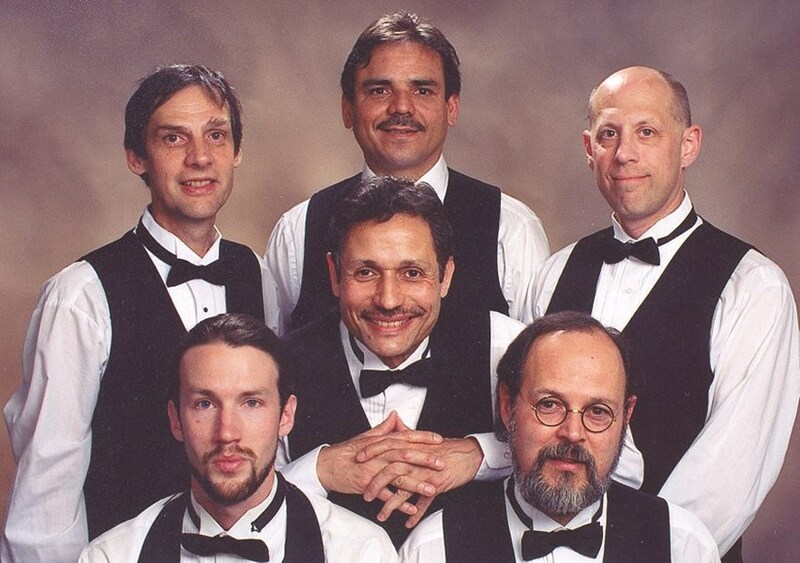 The band will make everyone at your event “feel like dancing"! The band performs original and uniquely arranged latin, jazz, rock, reggae and popular music. All three attached tunes are Picante originals but the band also plays uniquely arranged popular tunes such as Stairway to Heaven; Santana tunes, such as Smooth and Oye Como Va; Rock and roll tunes, such as Johnnie B Good, songs by the Beatles and more. If you would like to have a trio for your wedding ceremony, cocktail hour, festival or business event, the Rio Trio is just for you! 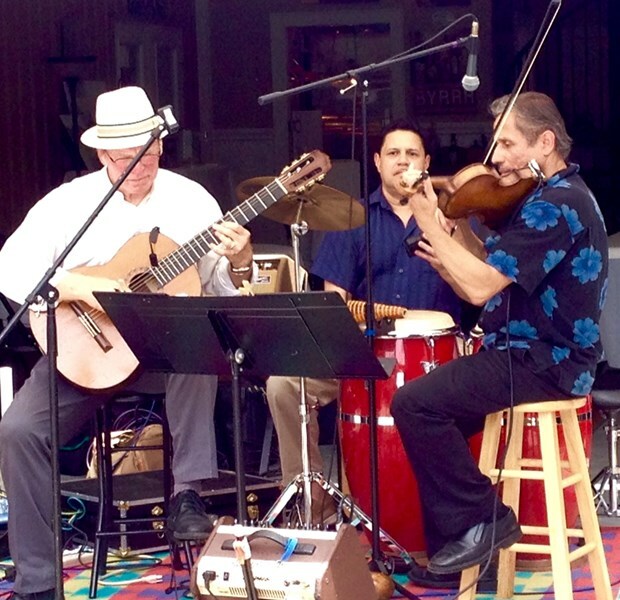 Comprised of violin, guitar and percussion the trio performs popular tunes, jazz, latin rhythms and rock. You can also request tunes and this professional trio will play them at your event! Your wedding day is the day you attempt to express the inexpressible - the depth of your love and joy. Let us fill the air with music in celebration! Everyone is unique and every wedding should be unique as well. In order for you to have the music you want, Ruben needs to get to know you. He will meet with you to discuss your musical tastes and songs/pieces you like and what you don't like. He will then play suggested music selections either in person or on the phone during your "wedding meeting". Ruben is available as a solo violin or with other instruments to form a duo or trio for your wedding ceremony and/or cocktail hour. Ruben Orengo, of Orengo Music, has played the violin for most of his life. He is a long time member of the Asheville Symphony and has been the string orchestra teacher at Asheville High and Middle schools for 32 years. 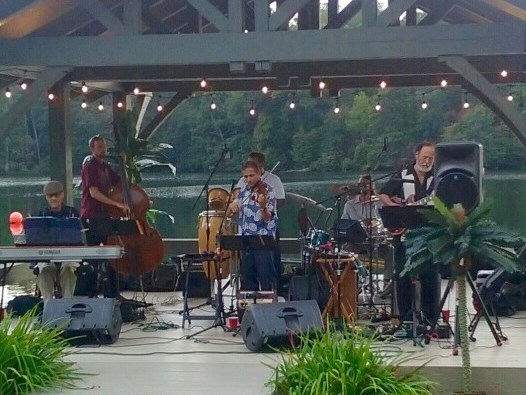 Ruben Orengo and his band Picante played at my husband's and my reception on the beach in Lake Lure in 8/18/18. We were blown away with how good the band sounded and how refreshing it was that they were a unique, refreshing group of musicians that took pride in what they were doing. Ruben exceeded expectations with the band's set list, communication leading up to and right before the day of the reception. They were so good that my husband and I will be making trips just to see Picante and Ruben play!! I highly recommend anybody looking for something other than the normal cover band to hire Picante. You will not be disappointed!! Please note Orengo Music will also travel to Edneyville, Enka, Skyland, Wilson, Flat Rock, Hendersonville, East Flat Rock, Gerton, Montreat, Naples, Saluda, Mountain Home, Ridgecrest, Bat Cave, Lake Lure, Mill Spring, Fletcher, Tryon, Dana, Chimney Rock, Fairview, Zirconia, Arden, Concord, Columbus, Chapel Hill, Etowah, Horse Shoe, Landrum, Tuxedo.